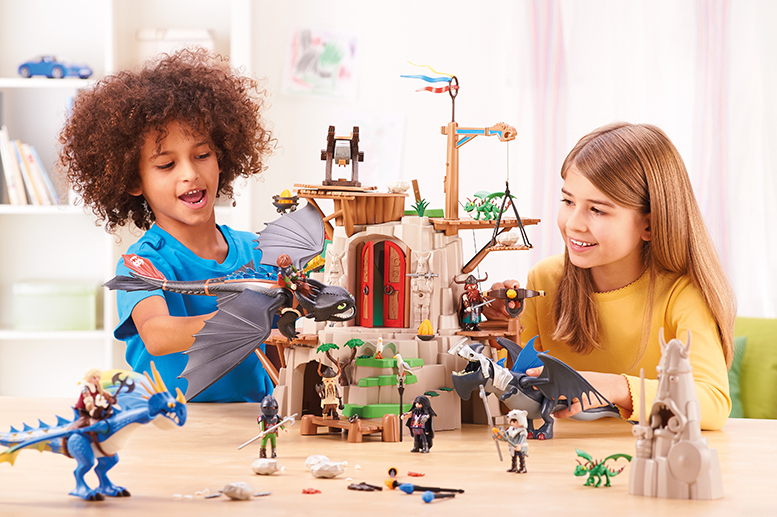 Since 18 August 2017, PLAYMOBIL has a new game world: “Dragons”. This came about because of a licensing cooperation with DreamWorks Animation for the animated film and series “How to Train Your Dragon”. However, licensed merchandise products are not a dominant theme for PLAYMOBIL. “For one thing, licenses help to make the PLAYMOBIL brand experience broader and more digital. For another, we are building a bridge to the current adventure world of many children, inviting them take part in a creative role-playing game. The brand core of PLAYMOBIL is still attractive for children and adolescents. We are convinced that creative play still contributes to important personal development steps. Social competence and personal interaction are skills that we want to promote with our game system and our currently licensed themes,” explains Björn Seeger, PLAYMOBIL Corporate Communications. In 1974, the PLAYMOBIL world was created with the first figures in the form of knights, native Americans, and construction workers. Nowadays, parents and children can choose from more than 300 different PLAYMOBIL products and more than 30 game worlds to suit them and their needs. “Our play worlds reflect the current social developments. Cultural differences and diverse role models appear in many aspects, but are not an explicit criterion for the development of figures. We want to create a wide range of possibilities so that boys and girls can express themselves individually and playfully. It is important for us that children play together and acquire social skills. This builds valuable bridges,” says Björn Seeger. In contrast to competitor LEGO, PLAYMOBIL deliberately avoided licensed products for a long time. PLAYMOBIL’s first licensed merchandise product, a replica of the Porsche 991 Carrera S, was launched in 2015, 41 years after company entered the market. In 2016, PLAYMOBIL announced a collaboration with Funko, a US-American character maker. The result is a group of licensed collection figures from “Back to the Future”, “Supernatural”, “Teenage Mutant Ninja Turtles”, and “Charlie and the Chocolate Factory”, among others. PLAYMOBIL currently offers products from the licensed theme worlds of “Ghostbusters” and “How to Train Your Dragon”. According to Seeger, PLAYMOBIL were not interested in the license for Star Wars (the 8th instalment “The Last Jedi” is released on 14 December 2017). That is because the cooperation would not have been financially viable and competitor Lego would move in other spheres. Furthermore, PLAYMOBIL does not want to be completely dependent on Hollywood. The focus is on the classic PLAYMOBIL worlds. As a result, licensed merchandise is not a dominant theme for PLAYMOBIL. “We stay informed about the needs and desires of our target group, and are constantly monitoring the trends and themes of the licensing market. Short-lived trends have no role to play at PLAYMOBIL,” says Claudia Auer, Head of Brand Communication at PLAYMOBIL. According to Björn Seeger, children are confronted with many themes every day. The digital entertainment offer on all channels is part of the everyday life of the little ones. According to Seeger, novelties are quickly consumed and absorbed by the children, without being filtered by the parents for quality. That makes it all the more important that toy manufacturers are responsible when it comes to using the new themes. That means facilitating an orientation for children and parents through quality and good offers. In 2017, within this context, PLAYMOBIL adapted two internationally known license themes (“Ghostbusters” and ” How to Train Your Dragon”). The goal is to stimulate children’s imagination for free play, thus awakening their creativity. The characters from the movie “How to Train Your Dragon” come to life in children’s bedrooms thanks to PLAYMOBIL’s new play world. 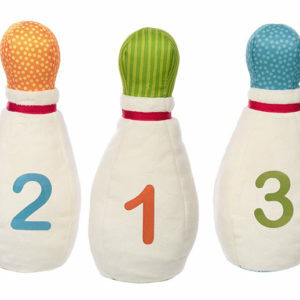 Different play functions and personalised designs create a distinctive play experience. Parents and children can choose from the following packages in the Dragons play world: Berk, Drago’s Ship, Gobber with Catapult, Hiccup and Toothless, Astrid and Stormfly, Drago and Thunderclaw, Eret with 4-shot fire Ballista. “Our new licensing products are an important milestone for the PLAYMOBIL brand. We don’t just want to win new fans, but also to make this generation of children and their parents even more enthusiastic about our brand. Further licensed themes are planned for the future. The important thing is that the values ​​and quality are compatible with PLAYMOBIL – there is much to be excited about,” reveals Claudia Auer. The geobra Brandstätter Stiftung and Co. KG has manufactured the PLAYMOBIL play worlds since 1974. With the 7.5 cm tall play figures, children can immerse themselves in historical and modern theme worlds. In 2016, the Brandstätter Group generated a total turnover of 671 million euros with production sites in Germany, Malta, Spain, and the Czech Republic.